This up to date Fixed Term Employment Contract is suitable for employees employed under a modern award where the standard award entitlements apply and the work is confined to the duration of a specific task or project. 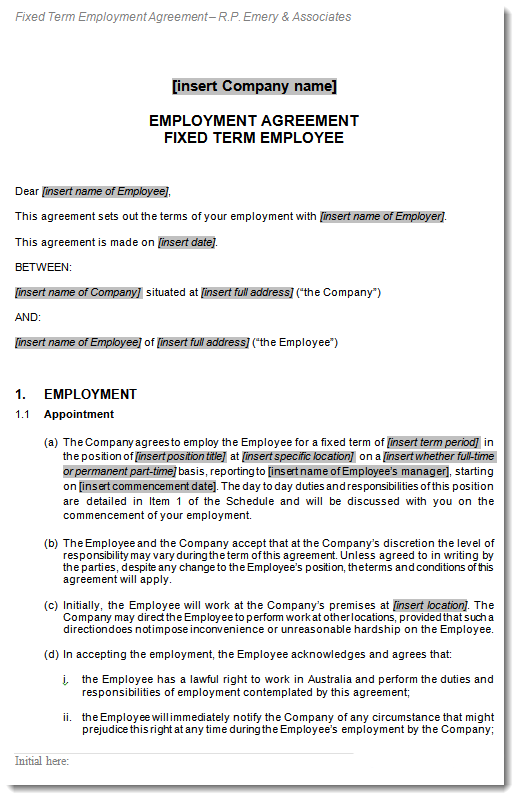 The agreement operates for a term specified by the parties automatically expiring once the agreed end date is reach. It contains all the provisions required to comply with the Fair Work Act 2009 plus a copy of the freely available Fair Work Information statement which must be provided to every new employee. Your professionally drafted, Fair Work compliant, fixed term employment contract is available for immediate download..The document comes to you as a Microsoft Word template that can be used as often as you like. Simply insert the correct information in the appropriate field and tab to the next. 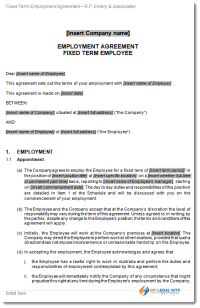 Now print your professional employment contract! 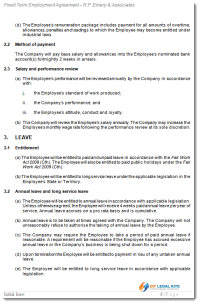 Fixed Term Employment Contract Video - Click to find out about the contract and view sample.